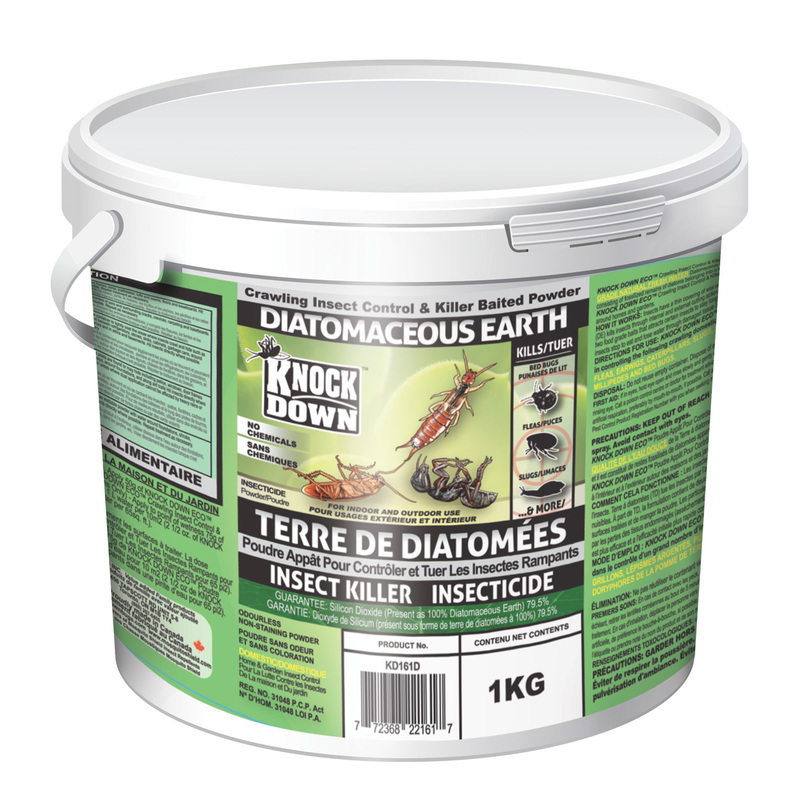 KD161D – KNOCK DOWN – DIATOMACEOUS EARTH -1KG – KUUS Inc.
KNOCKDOWN™ – KD161D – KNOCK DOWN ECO – DIATOMACEOUS EARTH. 1) Externally by absorbing oils and wax from the insects covering resulting in rapid water loss and death from external desiccation. 2) Using the bait, the insects will be attracted to and eat the powder where the particles will damage the insect’s gut causing water loss and internal desiccation.